Available Lengths: 18 (7″), 21cm (8″) and 24cm (9.5″). 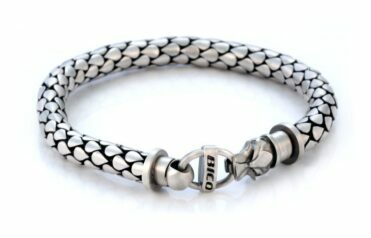 This bracelet is an original Bico design made from individually cast and hand finished pewter links that are then joined. 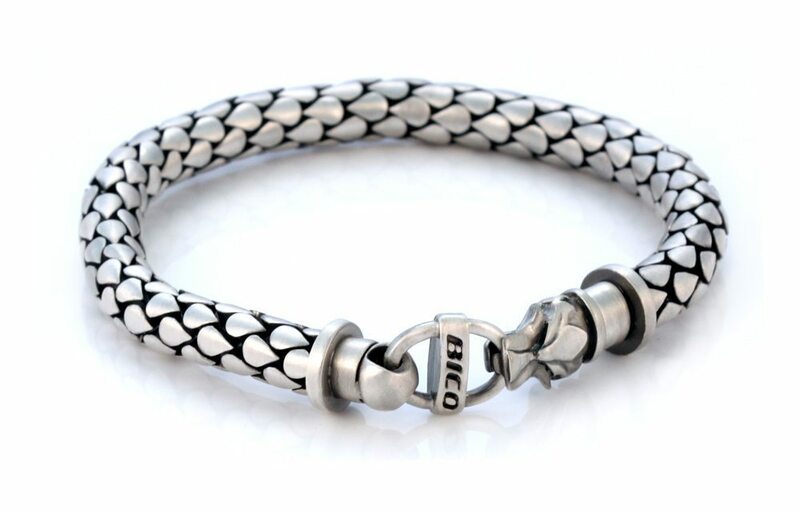 The chain is plated with pure silver, matte finished by hand, then coated with a premium protective layer to extend the wear life. The clasps are hand made with opening jaws that spring close over the large jump loop.